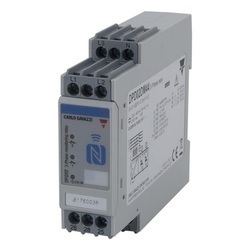 Importer, distributor of Carlo Gavazzi loop detectors in India. We are carlogavazzi products importers,dealers,distributors of wide range of products in India. Supporting the customers in better aspects, we deals with Fotek, Meanwell all over India. We have 2 kinds of loop detector, single loop detector and dual loop detector. Carlogavazzi Products. Our loop detectors are used in identify the vehicle used in boom barrier,automatic gates in India. relays, safety module, thyristor, power regulator etc. Our major customers are presented in all over India. We are covering carlogavazzi Chennai, Hyderabad, Mumbai, Carlo Gavazzi Pune, Goa, Meanwell Bangalore, Noida, Carlo Gavazzi Delhi, Gujarat, Surat, Ahmadabad, Maharashtra, Kolkata, Mysore, Fotek Tamilnadu, Carlo Gavazzi Coimbatore, Haryana, Uttarpradesh, Westbengal, Rajkot, Mysore, Jharkhand, Jalandhar, Chatisgarh, Andhra Pradesh etc. Loop detectors for detection of vehicles. The vehicle loop detector is designed to handle all parking, drive-through and access control applications for controlling doors, gates, barriers or fences. The principle is based on a change in the inductance within the loop when a metallic object (vehicles) is passing. The microprocessor evaluates the changes. Counted as one of the prominent organizations, we are engaged in providing a wide range of superior quality Single Loop Detectors. Following industry defined guidelines, our vendor’s manufacture these detectors by utilizing contemporary machines, modernize technology and prime grade raw material. In order to ensure quality, offered detectors are rigorously tested upon a series of parameters. In tune with clients' diverse requirements, we offer the entire range in a wide range of specifications. Our organization has successfully expanded its business in market owing to the offered elevated quality array of Loop Detector for Automatic Gates. The offered detector is manufactured utilizing superior quality raw-material and the latest technology. Moreover, a team of our quality controllers conducts a series of quality tests on the entire range to seek out any possible defect. In tune with industry standard, we provide the entire range in various customized options and industry leading prices. We are importer,dealer,supplier & authorized distributor for Carlo Gavazzi, fotek, meanwell. We are dealing wide range of products like capacitive sensors, Inductive Proximity sensors, Photo sensors, Level sensor, loop detector, light curtain, Solid state relay(SSR), Electro mechanical relays(EMR), current monitoring relay, Voltage monitoring relay, smps etc.,& supporting the customers in better aspects. We are providing one year warranty for our products. 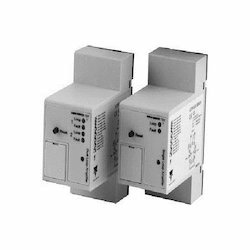 we have both single loop & dual loop detector in our range. We are instrumental in providing our clients a comprehensive range of Vehicle Loop Detector that is mainly used for vehicle sensing and automatic gate applications.This detector is meticulously tested on various quality parameters by our vendor’s adept professionals. Provided detector is manufactured by utilizing optimum quality raw-material and the latest technology by our experts. In line with industry standard, we provide this detector in various customized options and at affordable prices.